Courtesy Tim Landgraf; Freie Universität Biorobotics Lab. Researchers in Germany are looking to import bees' information-sharing talents into the brave new world of autonomous vehicles. Since Austrian researcher Karl von Frisch first studied the waggle dance in the mid-1920s, scientists have learned that honeybees move in a figure-eight dance routine to tell other members of the hive where food sources are located. However, how honeybees use their brains to create memories of different locations and communicate these memories with fellow members of the honeybee swarm is mysterious to researchers. 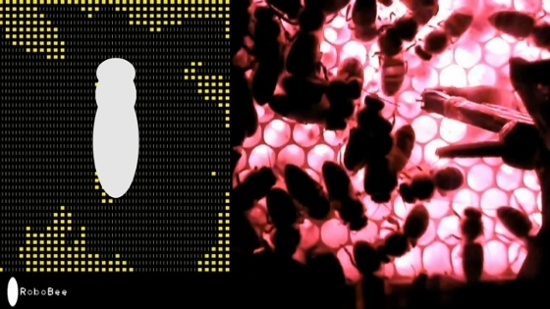 To solve this problem, Tim Landgraf of Freie Universität collects neurophysiological data from bees in real-time to understand how their brain structures work. For some larger insects, like dragonflies, it’s possible for scientists to plant electrodes into their brains to record data. The small size of the honeybee, however, created a challenge for Landgraf and his team, as the electronics that amplify, digitize, and store the data are too big to be carried by a honeybee. 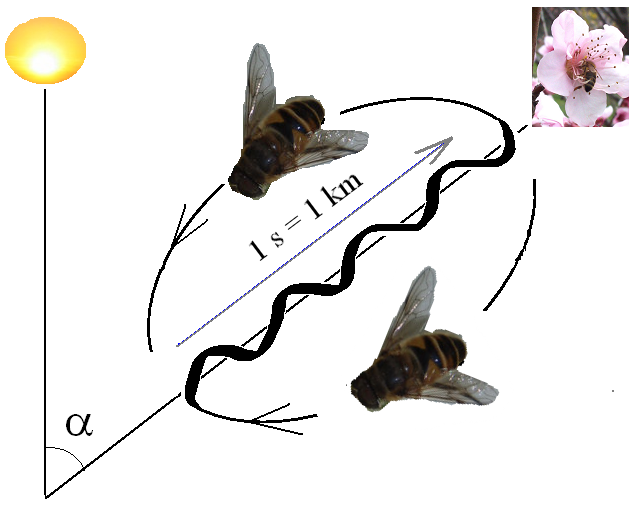 Eventually, they decided to tether individual bees onto tiny copters to record neurophysiological data, pictures, and videos of the bees performing tasks. In addition to studying the waggle dance, Landgraf also researched how bees solve task collectively. As a group, bee hives operate similar to central processing units, in which the bees execute tasks with a clear set of directions. They differ, however, in that there is no central unit sending commands, as the queen’s job is simply to lay eggs for the hive. 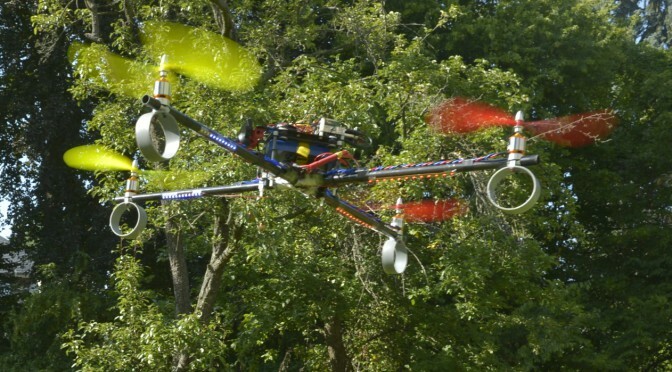 Attaching copters to honeybees and tracking live data creates a massive amount of information. Tracking movements in a hive during a nine-week season, for example, means that as much as 200 terabytes of data are collected. Landgraf used the supercomputing resources at the Zuse Institut Berlin to store and analyze this data. Studying how bees solve tasks both individually and collectively provides information for a surprising side project of Landgraf’s. Self-driving cars, once a fantasy in television shows like Knight Rider, are fast becoming a reality due to companies like Google and General Motors, and because of evidence that they may be safer than regular cars. A study from the Virginia Tech Transportation Institute in 2016 found that the crash rate for self-driving cars was lower than the overall national crash rate. However, many self-driving cars rely on electric power whose charging time might be limited. To maximize efficiency, Landgraf simulated a swarm of self-driving cars operating in tandem, similar to how a bee hive functions by completing self-directed tasks. The implications of studying the neurophysiology of honeybees could also offer insight into the neurophysiology of our own brains, and how we communicate with each other.